Administration is the Agency leadership in the execution of policies of the Board, shaping the organization into a high reliability operation focused on high quality internal and external customer service, and support of the respective Boards. Finance protects the financial health of the Agency through long term financial planning, annual budget development and regular budget monitoring; ensures accountability and transparency through financial reporting, and provides internal and external business services with commitment, professionalism and customer service. This department is responsible for the daily business operations of the Agency, as well as the more strategic issues, which may include legislative initiatives and strategic planning. 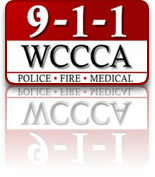 This department is staffed by 4 full-time employees, including the Director, Chief Financial Officer, one Finance Specialist and one Administrative Specialist, who work with other divisions, member agencies, and the community to ensure that WCCCA's service is meeting the expectations of its many users. Standard Administrative hours are 8:00 am to 4:00 pm, Monday thru Friday, Holidays excluded.